Many of us enjoy hosting friends and family for good food and great conversation. This time of year, we look back on the things we’ve accomplished and think ahead to where we’ll be in the coming year. There’s no other time quite like it, and at Young Living, we’re big fans. As you open your home to guests, one of the best ways to say “Welcome!” is to provide them with a small gift of appreciation. It doesn’t have to be extravagant; it’s simply a kind gesture. Bulk buying is one of the best ways to save money as you purchase the perfect gifts. Here are three amazing Young Living products that come in multiple parts for your gift-giving enjoyment. Not quite what you’re looking for? We have more incredible products on our website! Bon Voyage Travel Pack. 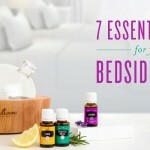 This bulk buy features 10 personal-care products from Young Living, and they are packaged inside an attractive, custom-designed Young Living bag. 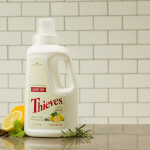 You’ll find Thieves AromaBright Toothpaste, Lavender Shampoo, Cinnamint Lip Balm and much more. Keep some of them for yourself (it’s not selfish to have a few favorites!) and split up the others into individual gifts. 2015 Collector’s Edition Roll-On Set. This special collection includes Breathe Again, Deep Relief and Stress Away essential oils fitted with an easy-to-use roller fitment for simple application. Three separate Roll-Ons equals three times the fun for the special people in your life. Essential Oil Sample Bottles. 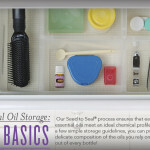 If you’re feeling creative, you might share one or two of your favorite essential oils using these sample bottles. There are 25 to a pack, and each of them features lids and drop reducers. Have fun hosting this season, and remember: With Young Living, you’ll always find the perfect gift that brings the joy of essential oils to those dearest to you.